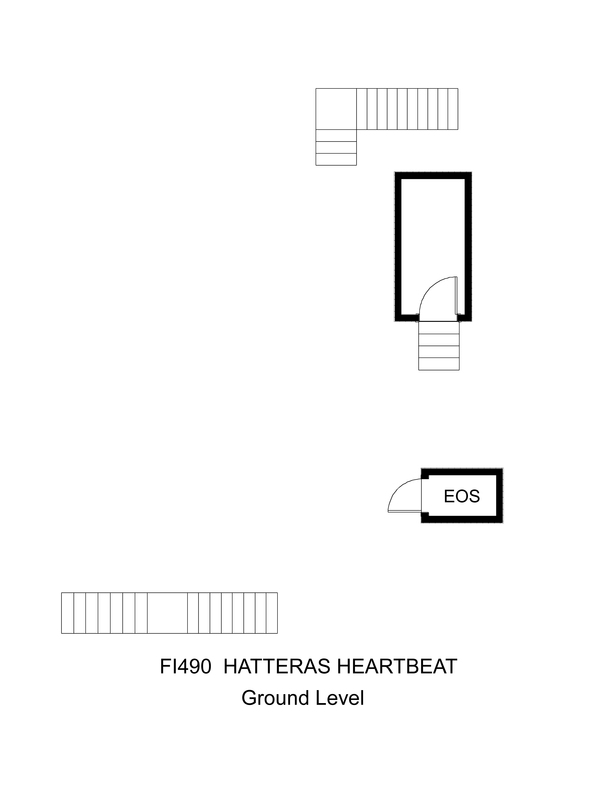 Hatteras Heartbeat is located on the second lot back from the oceanfront on a paved street and is a wonderful place to unwind, relax and enjoy some well-deserved quiet time. With ocean views from all three levels there are decks both covered for shade and open for soaking up the warmth of the sun, plus a screened porch, and the beach access just a few steps away there is something for everyone! The concrete drive offers ample parking, and continues into the carport area. Here there is also a park-service style charcoal grill, picnic table, space to store your gear and an enclosed outside shower. Take the steps up to a covered entry porch and the first level, which is where the bedrooms are located. The queen master bedroom has a private bath and a slider door for direct access out to the ocean facing covered deck. 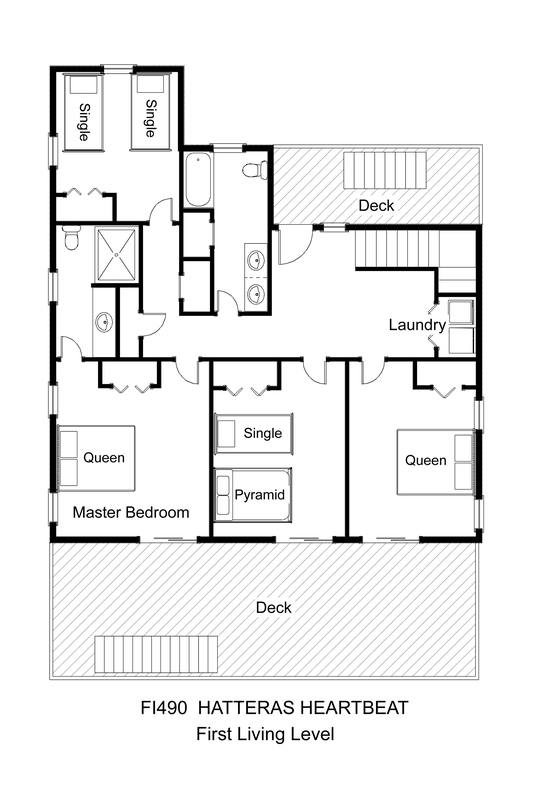 The second queen bedroom and the third bedroom with a pyramid bunk and single bed, both have sliders with access out to the covered deck with a porch swing. The fourth bedroom has 2 single beds. These 3 bedrooms all share a spacious full bath (with double vanity sinks) off the hallway. The laundry center is conveniently located at the end of the hall. 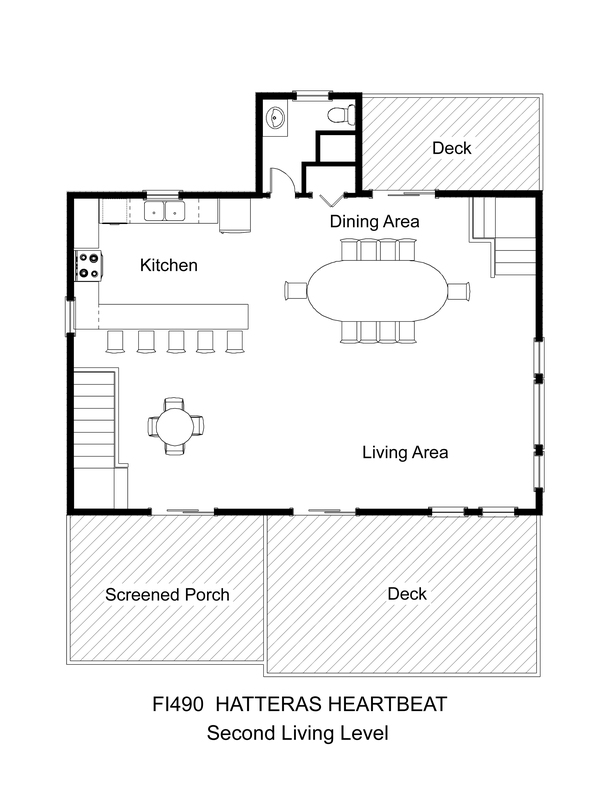 The second level’s open and spacious design consists of the living area with a vaulted ceiling, TV and DVD. The 3-slider doors give easy access out to a front and back sun deck, and the screened porch. The well thought out kitchen and dining areas have plenty of room for multiple people to share in the meal preparations, and offer 3 options for seating: the breakfast bar seats 5, the main dining table seats up to 10, plus a side table seats 4. There is also a full bath for added convenience on this level. 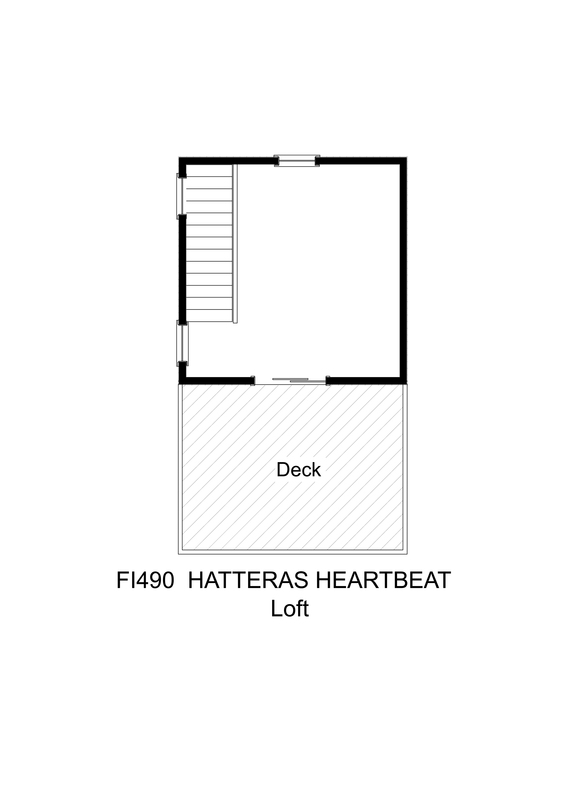 The loft area overlooks the living area below and is a quiet place to rest inside, or if you prefer, step outside onto the sun deck of this level for more expanded ocean views. Deck furniture for sitting or lounging is provided on all three levels for your relaxation time. Hatteras Heartbeat is one of Frisco’s best-kept secrets and is just the place for your family to enjoy your next Hatteras Island experience! Is the grill a Weber or is it one of those stand up picnic type? It is a free-standing park style grill. House is very comfortable. The kitchen is very well supplied with every conceivable piece of equipment or tool. Good storage and plenty of room in kitchen area for several cooks! Location was wonderful with an easy walk to the beach and beautiful views of the ocean.